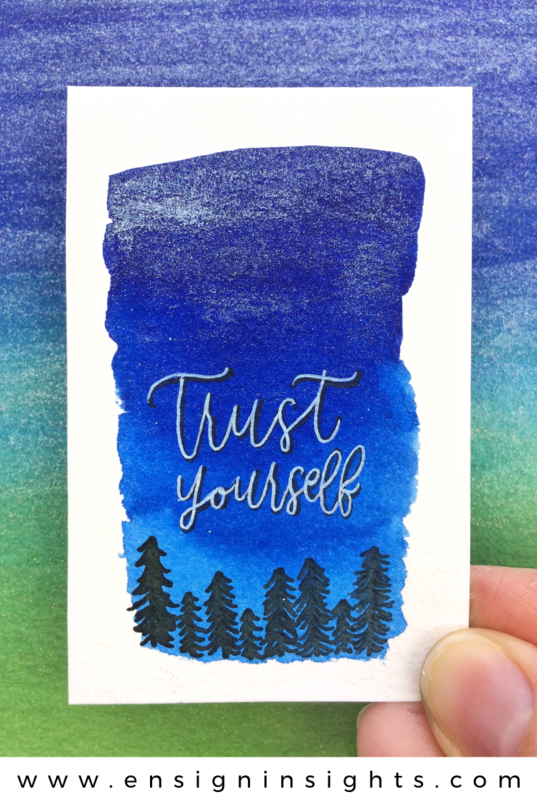 Have you felt that nagging feeling of self-doubt? It creeps up on us in every part of our life. 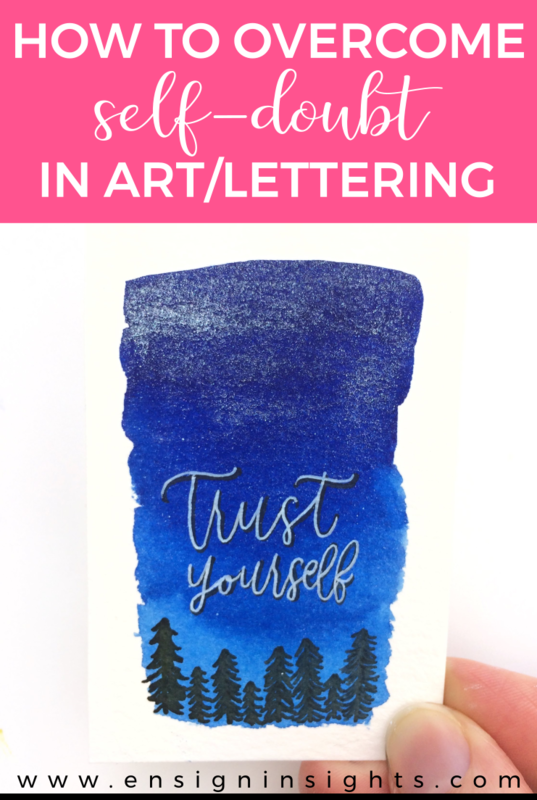 So in this post I’m sharing how to overcome self-doubt in art and lettering. 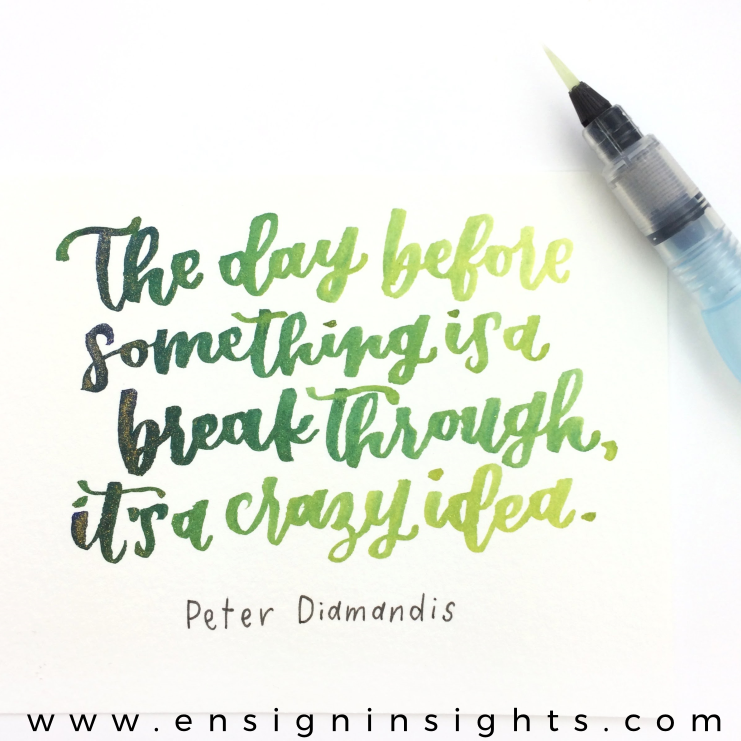 I found this quote, “The day before something is a break through, it’s a crazy idea” by Peter Diamandis. 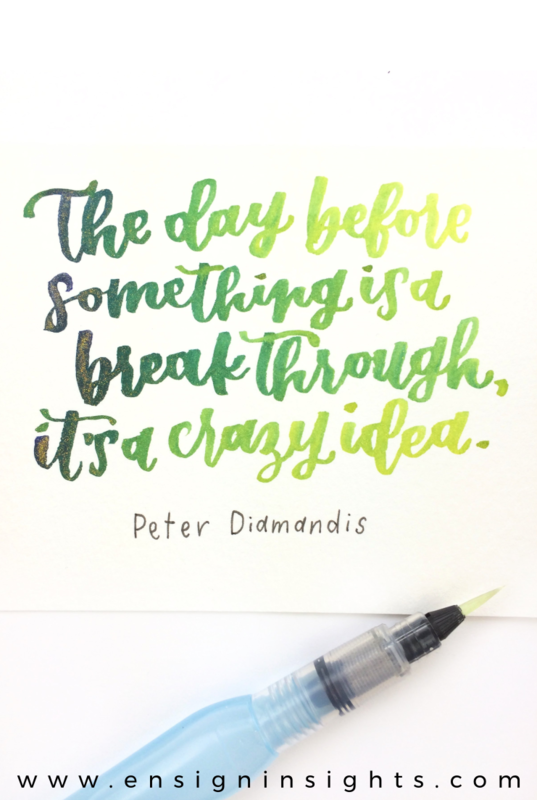 Every art or lettering project we create has phases. Whether we’re working on an Instagram post or blog post, maybe we’re creating a product to sell. Whatever it is, it has different phases that we have to go through. At first, we have the idea and we’re really excited about it. It’s the best idea ever. Then we start working on it and we realize it’s harder than we thought it would be. As we keep working on it, we realize, we have dug ourselves into a pit. It feels like everything is going wrong and we can’t figure out how we could possibly make this project work. Why did we think this was a good idea? How did we get ourselves into this? I’ve created enough projects to know when I’m in the pit. I start recognizing the nagging self-doubts I tell myself, which try to keep me in the pit longer. So how do we stop those self-doubt thoughts and get out of the pit? My one piece of advice is this: Just do the thing you’re doubting. seriously, just do the thing. Ignore the doubting thoughts. You’re going to have them, but you have to do the thing anyway. Being in the pit is hard. Really hard. But there’s no easy way around it. Sometimes it’s longer than others, but you just have to keep going. 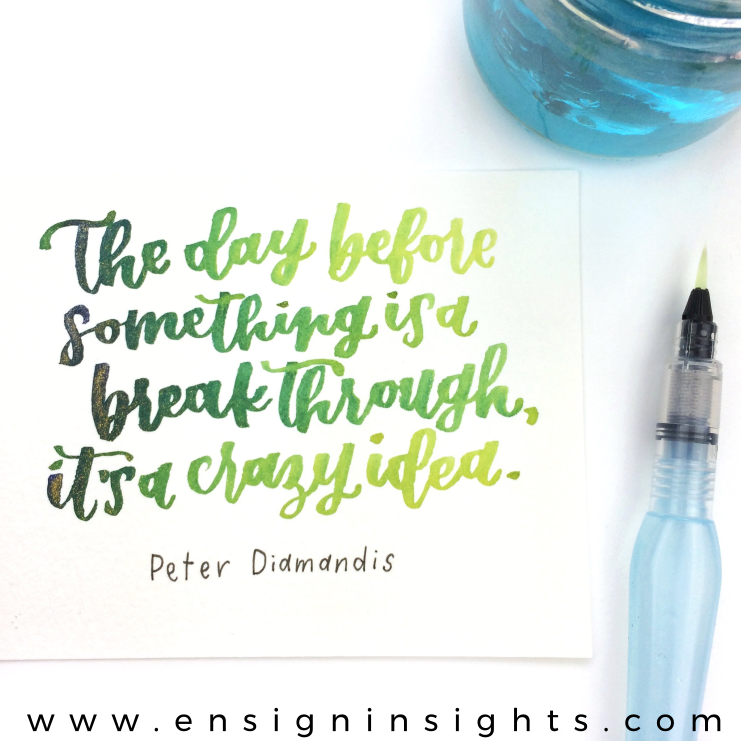 Trust that you have good ideas, and as you move forward with those ideas, you will get better at getting out of the pit. You can’t skip the pit phase of any project. Not every project we work on is going to come out exactly as we hope. But each project is going to lead us to a new project, and more ideas. And that’s why we have to move through that pit. So just know that whatever phase you’re in right now, you’re doing great. Start pointing out your self-doubts as they come and leave them behind you in the pit as you climb out.